Do you ever feel like you live your life on a bosu ball? Always trying to find balance between family, friends, work and training? We hear you. While finding the perfect balance is a great target to work towards, understand that at times, to get everything done you have to be flexible and creative – not perfect! Use this list as inspiration and to help you prioritize everything that’s important to you. All your gatherings don’t have to be centered around food or coffee. Instead, find balance by going for a walk together or suggest a game of Frisbee golf! Yard games are always good, too. Who doesn’t love the bean bag toss game? If your kids are old enough to join you at the gym, have them train with you. Maybe teach them to spot if you could use the help. If you have babies, incorporate them into your workout. For example, put your baby on the floor and do push-up kisses over them! You can use them as a weight as well. Do walking lunges and move them side to side as you lunge forward, not only will they love the movement, but you’ll be getting your training in simultaneously. Be creative! They’re your reason to stay healthy, not an excuse! At times, your training will need to be much more intense and the above suggestions might not cut it. Remember that it is okay to take time for yourself and get your training in separately! 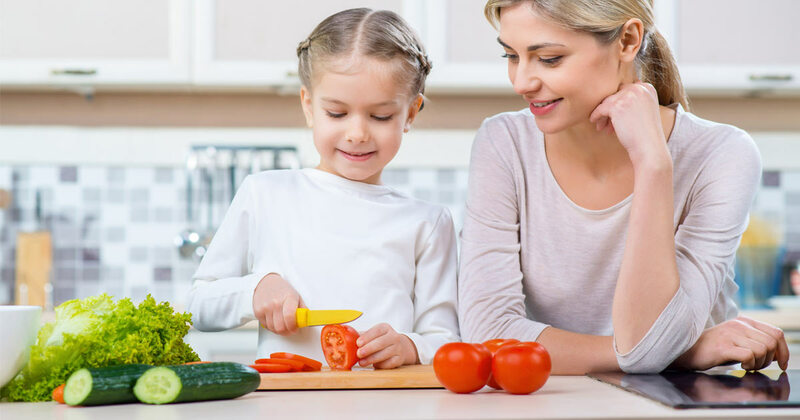 Have your children portion out meat, protein shakes and protein powders for you while you’re preparing dinner. This will teach them about portioning and making healthy choices, while spending quality time together! A lot of good conversations take place in the kitchen, the heart of every house. Now, not everyone’s work environment is flexible, but if it allows, grab a co-worker and go for a 20-minute walk at lunch. If you do have flexible work hours and your evenings are jam packed with activities, try training in the morning! Try fasted cardio and incorporate an intra drink like Best BCAA™ so you won’t get fatigued as quickly. You will be surprised at the energy you have throughout the day. Granted, typically your ideal training window is after a few meals, but this is where you being flexible comes into play! Remember, while trying to find balance is important, making yourself a priority is equally important. You want to be there for your family and friends in the future and that requires taking care of yourself in the present. Trust us, your future self will thank you.